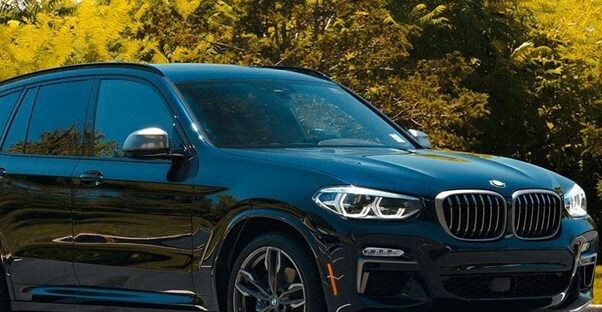 Which 2019 BMW X3 Is Right for You? If you've ever explored BMW's vehicles before, you'll know that options get complicated quickly. Each model of car confusingly has what BMW also terms as "models." These model options are, in effect, engine and drivetrain choices. For the 2019 BMW X3, the three options are the sDrive30i (rear-wheel drive), xDrive30i (all-wheel drive), and the M40i (all-wheel drive with larger engine). Once you've settled on your engine and drivetrain combo, there are further "designs" from which to choose. These design options have cosmetic elements that apply to your vehicle's exterior. There is an xLine Design that is the base offering at no additional cost, the Luxury Design (an additional $2,050) that features chrome accents, and the M Sport Design (an additional $5,020) that features aggressive, sporting detailing. If buyers opted for the M40i engine/drivetrain offering back at the "model" level, the M Sport Design is then automatically included. Once buyers have chosen their model and design option, they then have the option of three "tiers": Convenience, Premium, and Executive. Each successive tier option builds upon the former, meaning the Premium also includes the Convenience's features, and the Executive includes the Premium's features. The Convenience Tier (an additional $2,850) includes keyless entry, panoramic moonroof, and adaptive LED headlights. The Premium Tier (an additional $6,250) has head-up display, heated front seats, heated steering wheel, and Apply CarPlay compatibility. Disappointingly, CarPlay comes standard on offerings from many other manufacturers. The third tier, Executive (an additional $9,750), includes active park distance control, surround view with 3D, parking assistant, and rear-view camera. Buyers choosing the M40i engine/drivetrain offering back at the "model" level have the Convenience Tier automatically included. The final customization level is termed "packages," of which there are four options: Driving Assistance, Driving Assistance Plus, Dynamic Handling, and Parking Assistance. The Driving Assistance Package (an additional $500) includes blind spot detection, lane departure warnings, and rear cross-traffic alerts. The Driving Assistance Plus Package (an additional $1,700) comes with active cruise control with stop and go and radar-based autonomous braking on top of the previous package's features. Buyers who chose the Executive Tier option at the previous "tier" level have the Parking Assistance Package included automatically. Additionally, Buyers who chose the M40i engine/drivetrain offering at the "model" level, have the Dynamic Handling Package included automatically. Regardless, you can easily see that all of these customizable options can quickly add up to an expensive total price. And BMW offers even more one-off individual options, as well! Which 2019 Acura MDX is Right For You? Which 2019 Acura RDX Is Right for You?